My daughter and I managed to hit only one thrift store this week, on the way to an appointment in another town. 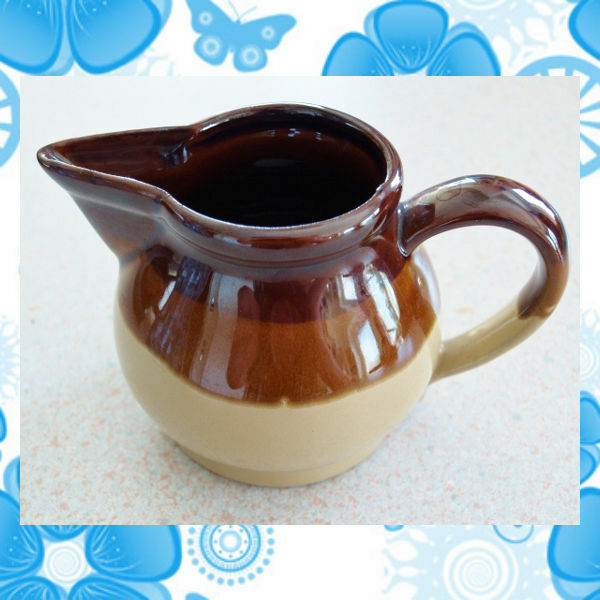 I found this little creamer jug, pictured above, for 99 cents. I’m just as bad as my daughter. I don’t really have the space left…at all. I also picked up this pretty yellow liquor glassware for $1.99. It is missing the stopper, but I thought I could use it as a vase. I couldn’t resist it because it is so like one that I already own and love. With lack of space becoming more and more of an issue, I am selecting a little more carefully than I used to. So, those were my only two finds this week. Let's be honest, I also ran out of time, because we had to get to that appointment I mentioned. I have a small collection of teapots, which I mainly display, but this week I decided to actually use this one, given to me by my mother. Well, I didn’t actually use it to hold the tea, but I did use it as a pretty blue and gold accent to accompany the table settings for my celebratory breakfast with the kids. I got this poppy watercolour at a thrift store a few weeks back. We finally hung it on the powder room wall this weekend. How about you? Did you have more success than I did thrifting this week? Yes! 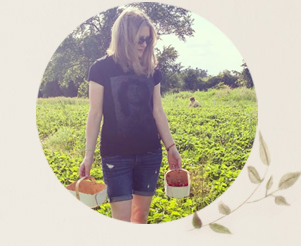 I just posted my thrifted finds! I do love that poppy watercolor!! I can't wait to see your finds Jeanne! Love that yellow glassware- great find. I'm not the luckiest thrifter but I think it's partially my location; everything is overpriced and overpicked! It definitely does vary widely from area to area, for sure. We seem to have a good selection, but the prices are high. I didn't get a chance to thrift over the weekend :( But your finds are great- I love the creamer and the glassware!! I would have snagged the glassware with the yellow design as well... it is just too pretty to leave behind. It just seems so cheerful somehow doesn't it? 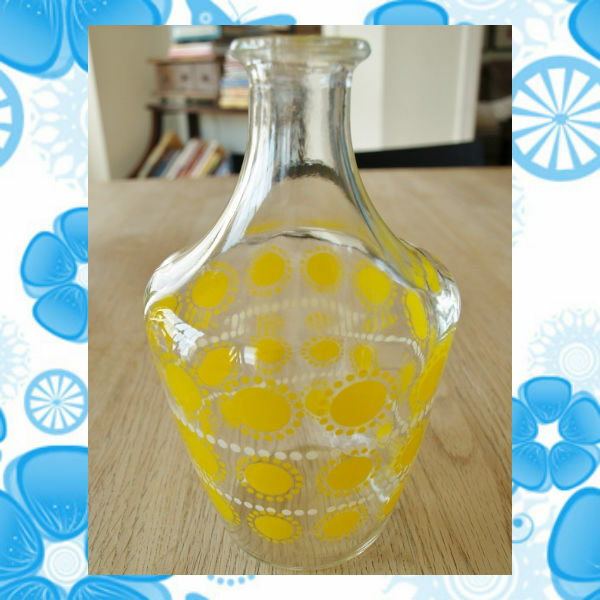 I adore the yellow patterned glass and the little watercolour is definitely a real bargain. Thanks for your kind comment and for following me! Thanks! I talked to my mom about it today. She bought it from a neighbour who was also an antiques dealer. He said it is very collectible! Thanks Tabetha! I love dishes of all ages and styles. I know you do too! 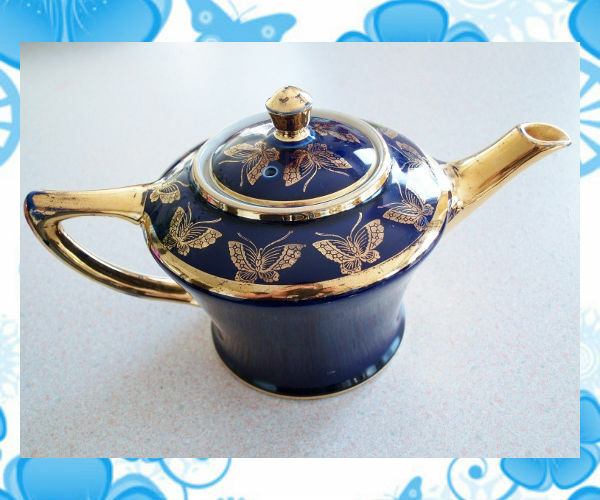 I have a thing for butterflies... so your teapot really stood out. It is pretty, isn't it. My mom has a knack for saving LOTs of stuff too. ;) Makes me wonder what I should save now that my kids might like! Love that liquor bottle/vase. It's going to look great with some fresh flowers in it! Thanks Laurie! Here's hoping you get some time soon! What a wonderful idea! A little personal sized iced tea holder! Thanks. My mom is a huge fan of thrift stores. I do love great finds, but always find myself hating the musky stench. BUT, all of your finds are awesome! 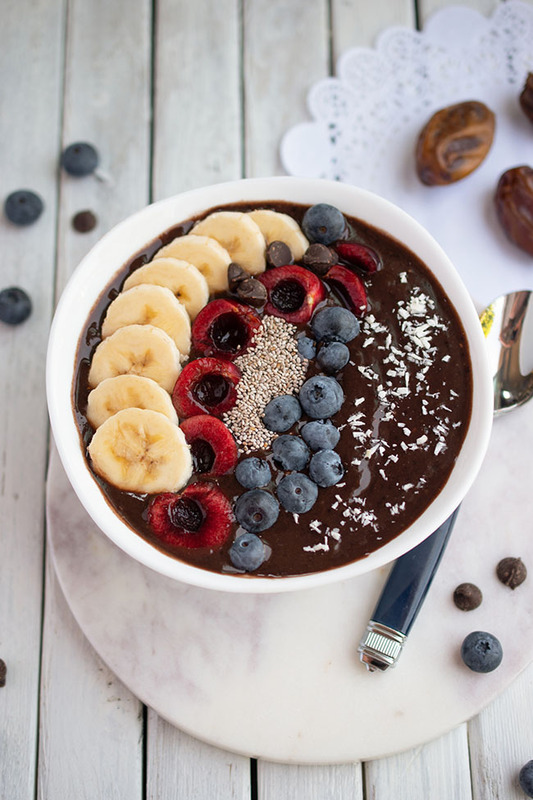 Have you ever thought of doing a DIY dish or home decor type thing? You definitely have a great eye! OMG, those pieces are gorgeous! I love thrifting, and your post has just reminded how much;-))) thank you!!! I love thrift stores! I live in the UK so they are not half as amazing as they are in the US - but second hand stuff never fails to amaze me! Interesting...you would think that the UK would have some amazing older finds...being a "more established" country. :) I would like to try thrift shopping in the US. It's still pretty expensive here in Canada, like most everything is! I'm totally late in stopping by this week, but still wanted to give you kudos on your great finds! The decanter/bottle is so cute, and I LOVE the teapot--what a treasure. Thanks for coming by Heather! Decanter was the word I was looking for...it escaped me! how fun is that bottle with the sun looking design! love it! thanks for sharing at cap creations. Thanks! Happy to join the party! Your mom's teapot is beautiful! And that water color you scored is most awesome!! I haven't been thrifting in a while due to savings :( (sniffle) - Living vicariously. Love the treasures that you found this week, and thanks for sharing them at my party. Hop over and grab my starfish feature button for your blog. Yes...you have ben featured at NTT this week. 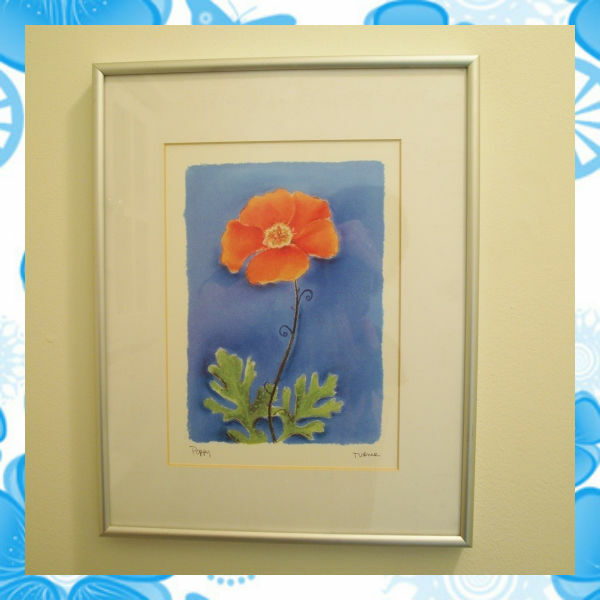 Your finds are very lovely--I particularly like that poppy picture in your blue bathroom! Last week my hubby finished a makeup vanity for me out of an old desk someone had out on the sidewalk for free! It's been cut down to size and repainted and I am loving it so much! We had to spend money for primer and paint, but basically that was it. Thanks very much! Your vanity project sounds great. And I like the low budget!